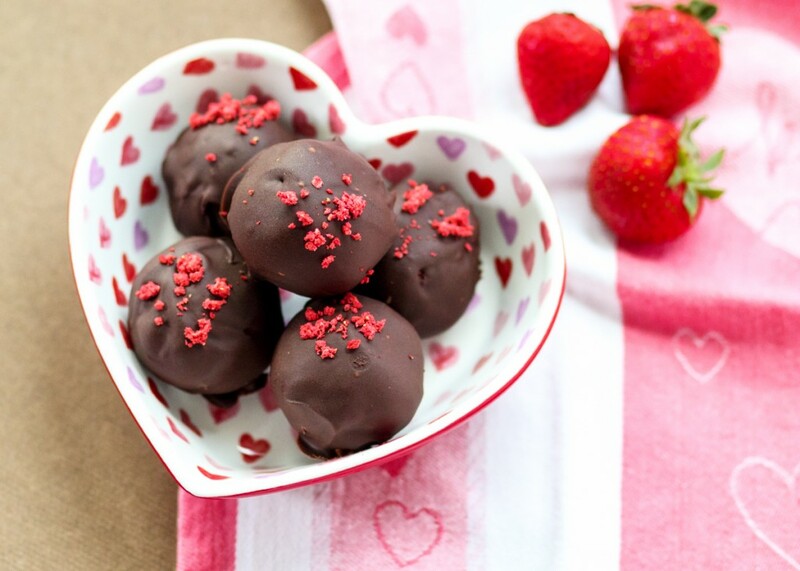 I’m going to have a hard time writing about these Strawberry Chocolate Ganache Cake Balls because every time I think about them my mind goes blank except for thoughts of wanting to eat them. By the time I’m done writing this post I’ll probably find myself in the kitchen making a batch of these because I made and photographed them so long ago – like last September long ago! 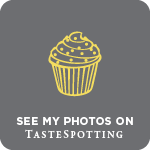 Which means I don’t have any right now while I’m writing about them and editing the photos, which is probably the most torturous writing endeavor ever. 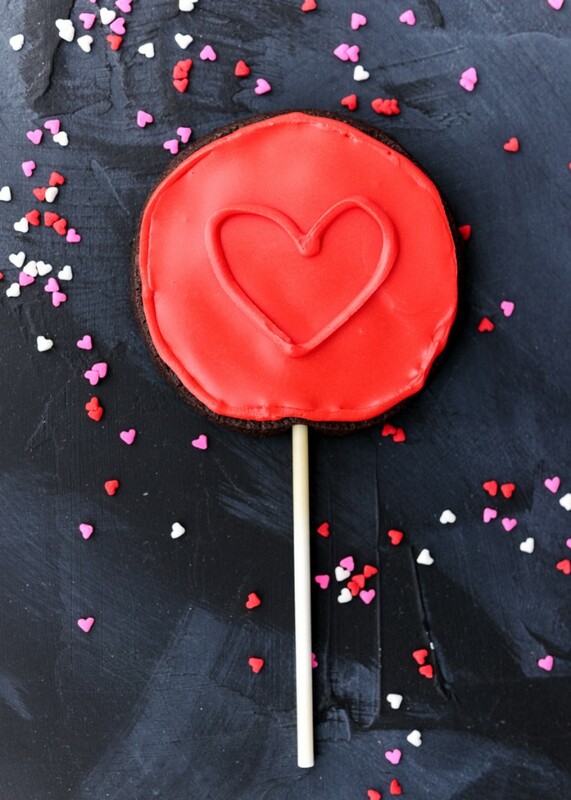 Typically, cake balls consist of cake and buttercream mushed together and then dipped in chocolate. Instead of the traditional buttercream, these cake balls are made with my Perfect Chocolate Cake recipe and my Chocolate Ganache. Chocolate ganache is silky, decadent and a pure chocolate-lover’s dream. Alternatively, if you wanted to speed the recipe up you could use a store-bought chocolate cake mix instead. Just the cake and the ganache together is enough to make me swoon, but I’ve rolled the cake balls in powdered freeze-dried strawberries to add some tartness and fruitiness. What are powdered freeze-dried strawberries? Just store-bought freeze-dried strawberries that you can get at Trader Joe’s and or Target that I’ve crushed up in my mini food processor to make a powder. I got this idea from one of my favorite candy retailers – Chukar Cherries out of Seattle, Washington. Matt and I first tried Chukar Cherries products during our Seattle vacation in 2013 and we’ve been hooked ever since. They have these raspberry truffles that are dried cranberries covered in white chocolate and then rolled in raspberry powder. They are sweet, tangy and crazy addictive. I’ve even seen raspberry powder and strawberry powder in a local spice shop here, but it would definitely be less expensive to buy the pack of freeze-dried strawberries and crush them yourself. 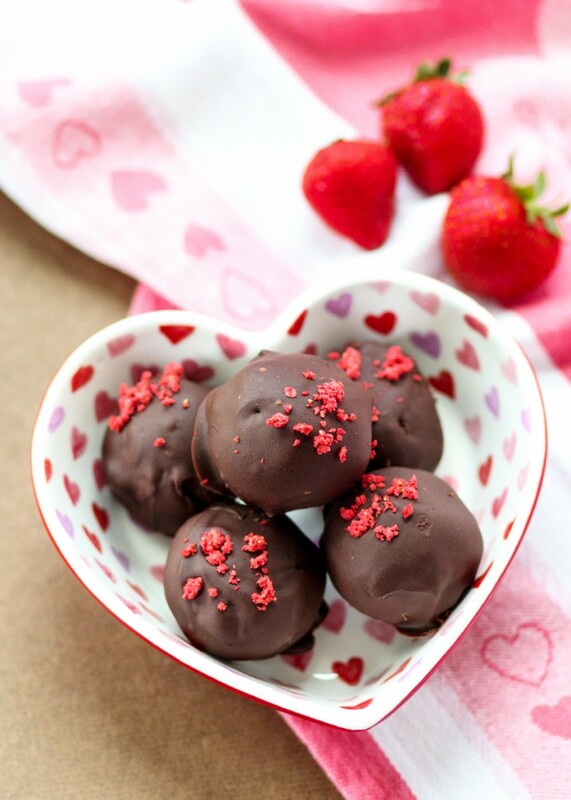 After rolling the cake balls in the powdered freeze-dried strawberries they are dipped in melted semisweet chocolate to form a rich chocolate shell on the outside. 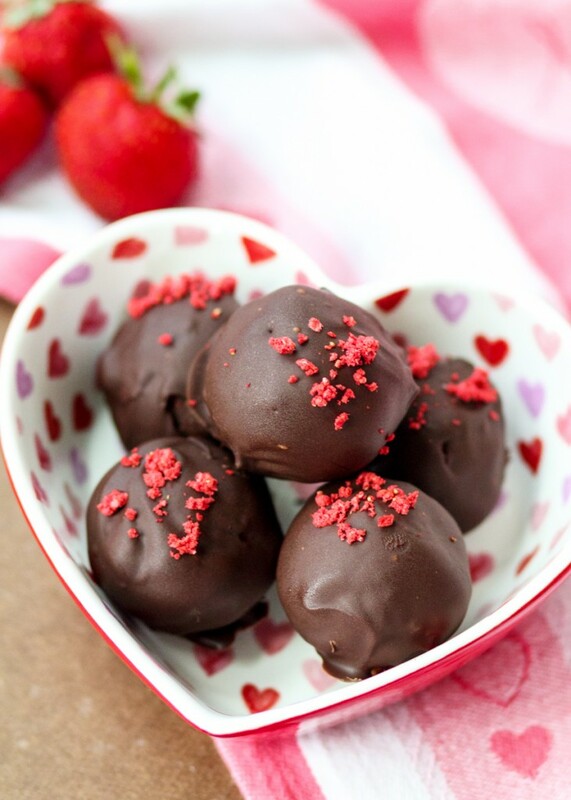 I initially made these cake balls because I had all these leftover ingredients, but they are worth a special trip to the kitchen just to make these Strawberry Chocolate Ganache Cake Balls. 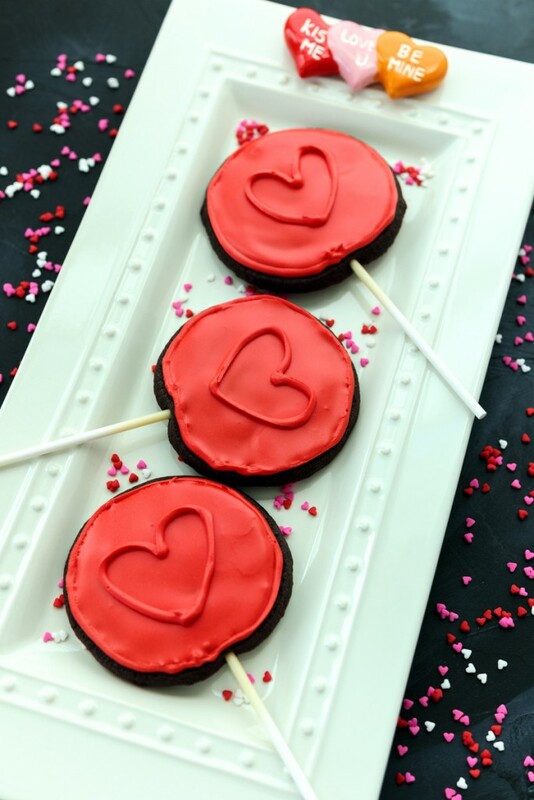 Obviously they are a perfect treat for Valentine’s Day, but seeing as how I first made them during a warm day in September they really are the perfect chocolate dessert any day of the year! If you want to use a box mix, bake it according to the box directions in a 9x13 pan then skip ahead to the last step in this section. Preheat the oven to 350 degrees F. Grease and flour a 9x13 pan. Set aside. Pour the hot coffee into the batter and stir until combined. The batter will be extremely liquidy. Pour the batter into the prepared pan. Bake for 35-40 minutes, or until a toothpick inserted in the center comes back mostly clean. Let cool in the pan for a couple minutes then remove to a wire cooling rack to cool completely before making the cake balls. Heat the cream over medium heat until steaming, stirring constantly. Once steaming, remove the cream from the heat. Add the chocolate and stir then let sit for 5 minutes. Add the butter to the chocolate mixture then stir until smooth. You may need to return to low heat to stir and melt all the final bits of chocolate and butter. Let cool. Line 2 baking sheet that fit in your fridge or freezer with wax paper. Set aside. Turn the freeze-dried strawberries into a powder using a food processor or by carefully crushing into a powder in the bag with a rolling pin. Place in a small bowl and set aside. In a large mixing bowl, completely crumble the cake then combine with 1½ cups of the cooled chocolate ganache. 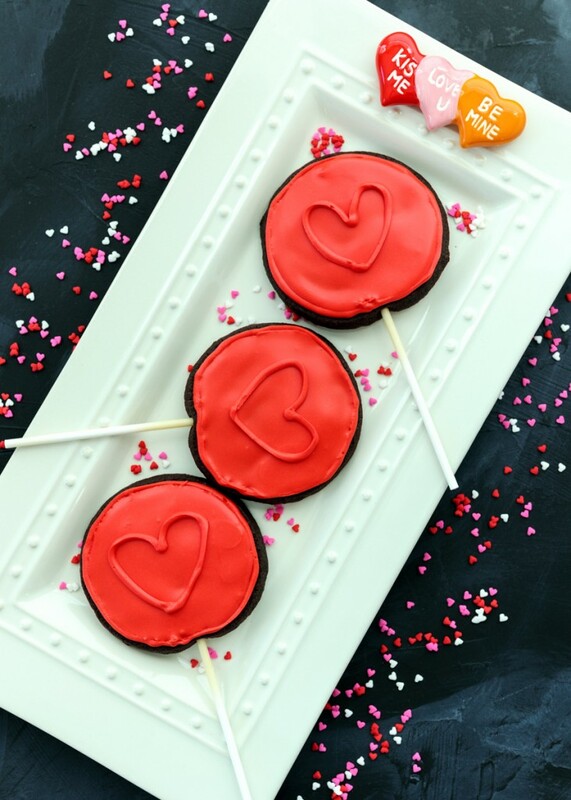 Stir together until the chocolate ganache is completely incorporated and the cake balls are roll-able, but not too wet, adding more chocolate ganache as needed. 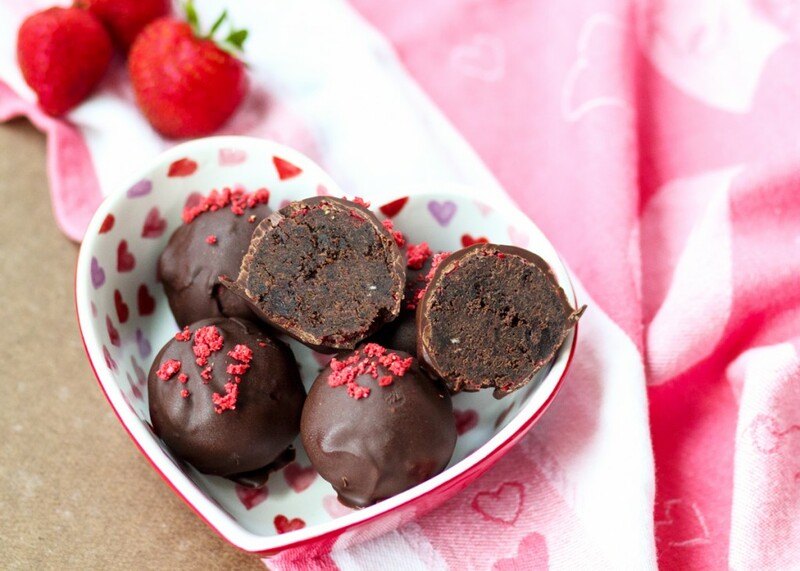 Roll the mixture into balls, then roll each ball in the powdered freeze-dried strawberries. Place on the prepared baking sheets then either freeze for a little bit or refrigerate for a few hours. You want them to be cold and solid, but not frozen. When you’re almost ready to take the cake balls out of the fridge or freezer, melt the chocolate chips and vegetable oil or the chocolate coating wafers. I melted mine in two batches instead of melting it all at once. Microwave in a tall deep bowl (like a microwave-safe liquid measuring cup) for 30 seconds, stir, then continue in 15 second intervals until the chocolate is completely melted. Make sure not too over heat it or the chocolate will seize up. Alternatively, you could melt the chocolate using a double boiler. 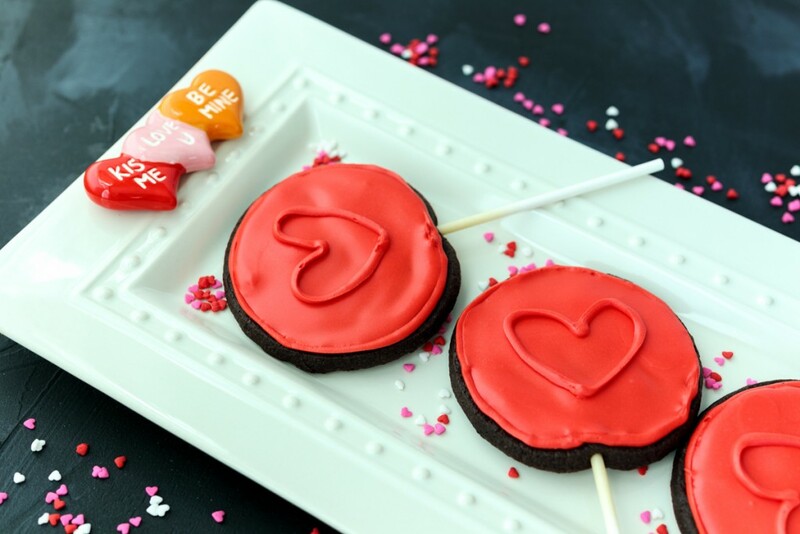 Use a spoon or fork to dip each chilled cake ball into the chocolate, letting the excess drip off before placing back on the wax paper lined baking sheet. 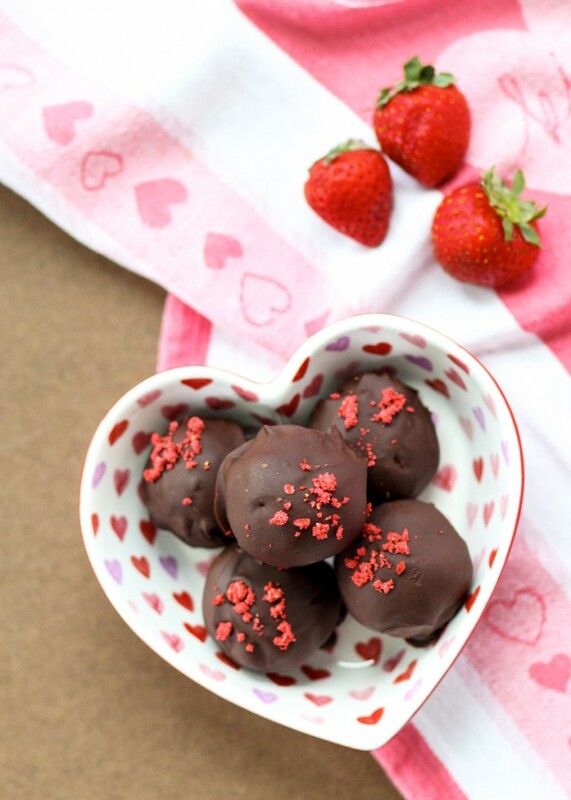 Top each cake ball with a sprinkling of the powdered freeze-dried strawberries and some Valentine’s Day sprinkles before the chocolate hardens. Store in the fridge - if you don’t eat them all right away! For the chocolate ganache (and if using chocolate chips instead of chocolate coating wafers for the outer layer), I recommend using Ghiradelli, Guittard or Scharffen Berger. Any leftover ganache will keep in an airtight container in the fridge for up to 4 weeks. Yes, this recipe has a funny name, but I will get to that in a minute. For now, let’s focus on how absolutely delicious and stunning it looks. Beautiful! The enormous pancake is light and bursting with vanilla and cinnamon-sugar flavors. 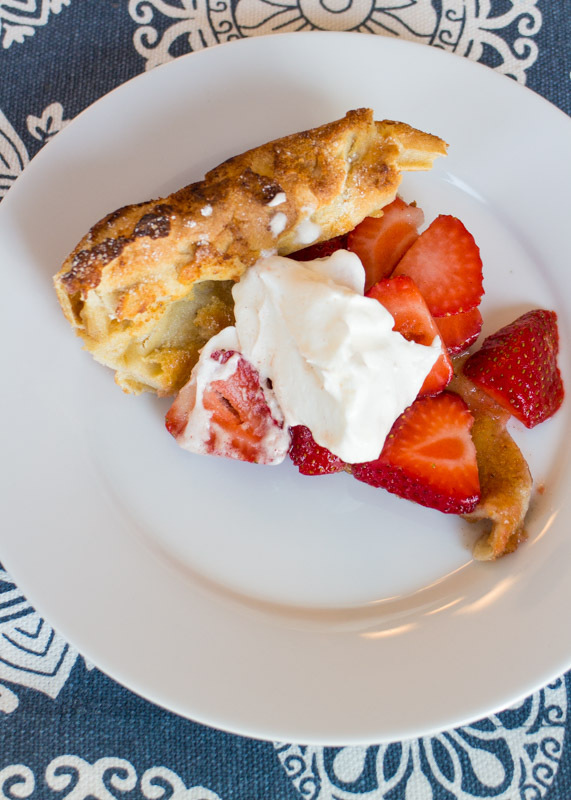 Crispy puffed pockets and softened doughy pillows cradle the syrupy strawberries and the whipped cream. Are you dreaming in your bed or did you actually just make this in no time at all with a blender and cast iron skillet? Since I just posted it you probably are dreaming, but you could be the later and be the hero of brunch this weekend. I had seen these Dutch babies on Instagram and cooking shows for a while now, but I never actually read through a recipe. I assumed to look so impressive that they must be complicated. I apologize to the last five years of my life for never reading a recipe because it is the opposite of complicated. Complicated doesn’t even exist on the same continent! The eggs are beaten until frothy then the rest of the ingredients are dumped in for some more mixing. I used a blender to do this to make it even easier. The mixture is poured into a cast iron skillet that’s been getting hot on the stove-top with melted butter. If you don’t have a cast iron skillet any oven safe skillet will work. Into the oven it goes! 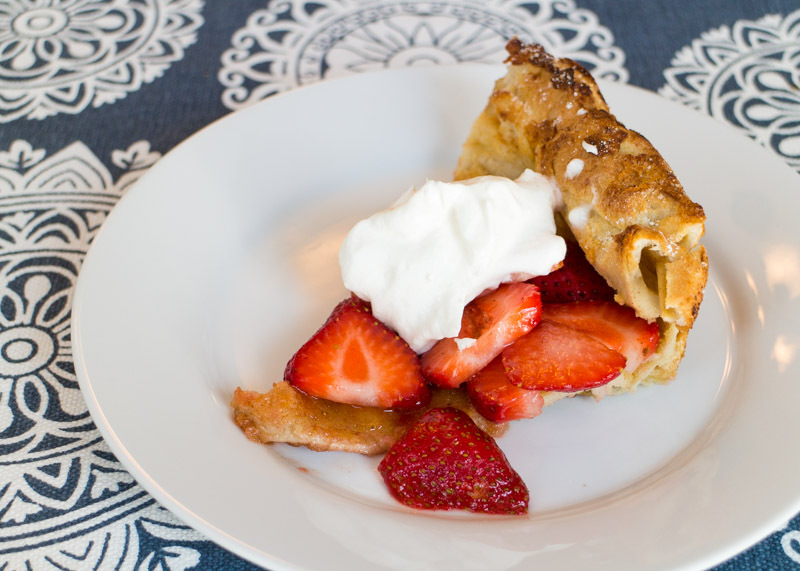 When it is done in the oven it gets sprinkled with cinnamon-sugar, loaded with syrupy strawberries, and dolloped with whipped cream. In come the brunch eaters with their forks to savor the puffiness until the puff deflates, but the Dutch baby stays just as delicious. I came across this recipe when I was brainstorming for Christmas morning. I wanted something that would be minimally hands-on while also looking impressive. That’s hard to come by in the realm of brunch food. 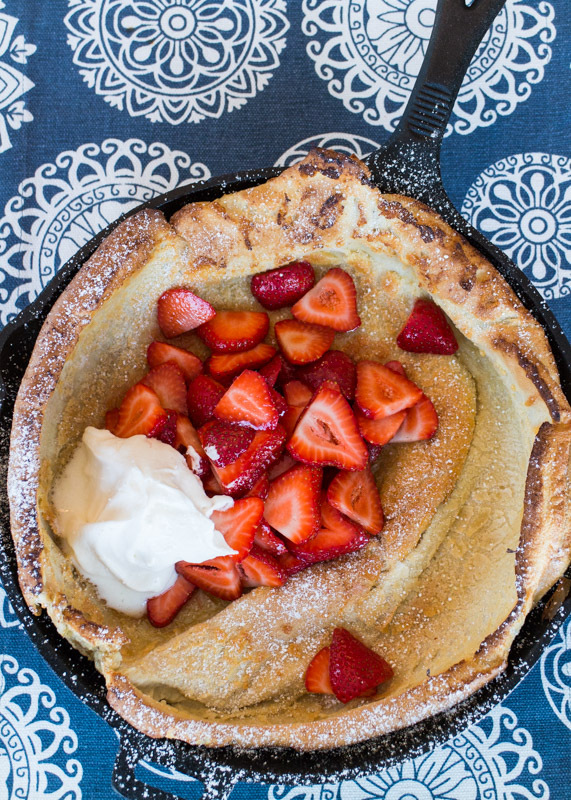 Thank the breakfast heavens for these oddly-named Dutch baby things. I did a bit of research, aka read Wikipedia, about the name and it turns out that this cross between a pancake and a popover isn’t Dutch at all. It is an American food and name said to be coined by a family cafe in Seattle, Washington in 1942. It seems to be their version of the German-style pancakes known as pfannkuchen, which look like slightly thicker crepes and are topped with fruit and sweet toppings. They speculate the Dutch part of the name came from the German word deutsch, which means German, but no word on where the baby part came in. My guess is that it is so delicious when you eat it that your speech becomes incoherent like a baby’s. Part of the Strawberry Dutch Baby’s deliciousness is that it has the perfect amount of sweetness. 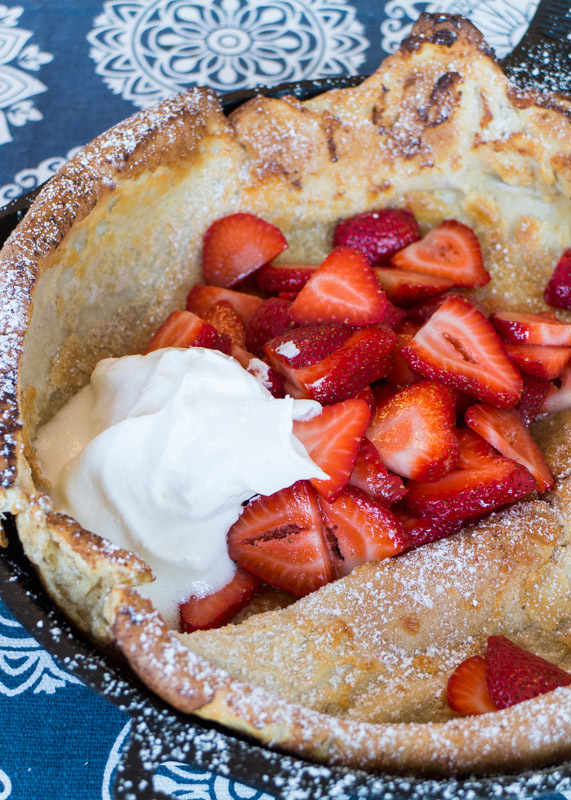 Even though the actual Dutch baby has no sugar in it, all the sweetness is coming from the cinnamon-sugar sprinkled on top and the syrupy strawberries. 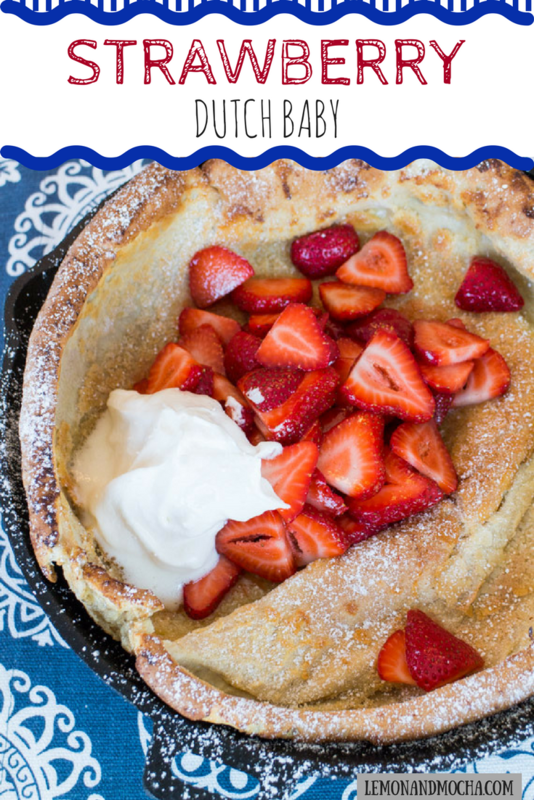 So stop dreaming and start planning when you’re going to make this impressively easy popover pancake! Blend the eggs until frothy and pale in a high-speed blender, about 1 minute. Add the milk, flour, cinnamon, and salt then continue to blend until combined. Over medium-high heat, melt the butter in a 10-inch cast iron skillet, or an oven safe skillet. Once melted, remove from the heat and quickly pour in the prepared batter. Place right into the oven and bake until the top is golden brown and the pancake has puffed, about 18-22 minutes. While the Dutch baby is baking, combine the sugar and cinnamon in a small bowl. Sprinkle a few spoonfuls of the cinnamon-sugar (reserving some for the Dutch baby) over the sliced strawberries then stir to coat and let sit until the Dutch Baby is ready. When the Dutch Baby is done, remove from the oven and immediately sprinkle it with the cinnamon-sugar. Don’t be shy about it! Add the strawberries and whipped cream. Serve sliced with the extra strawberries and whipped cream. If you do not have a blender, you can use a stand mixer or hand mixer. Recipe slightly adapted from Joy the Baker. 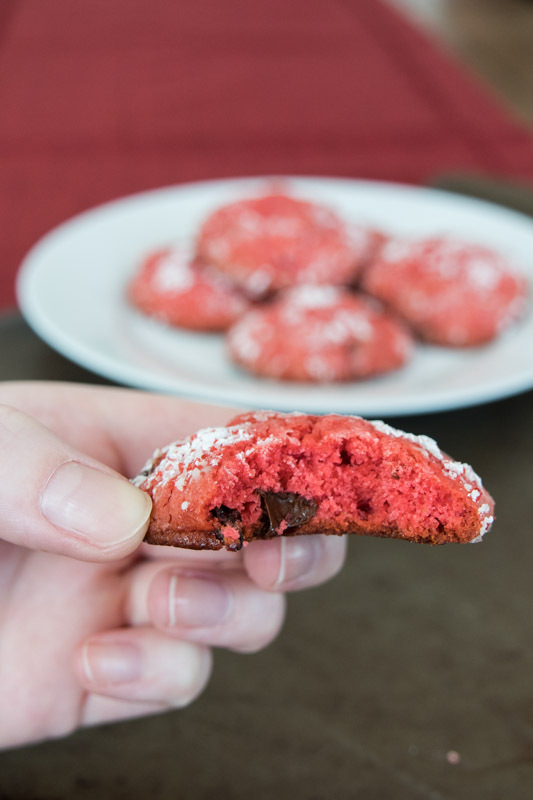 When I was deciding what to bake up for Valentine’s Day I immediately thought of these Chocolate Cherry Crinkle Cookies I made over Christmas. 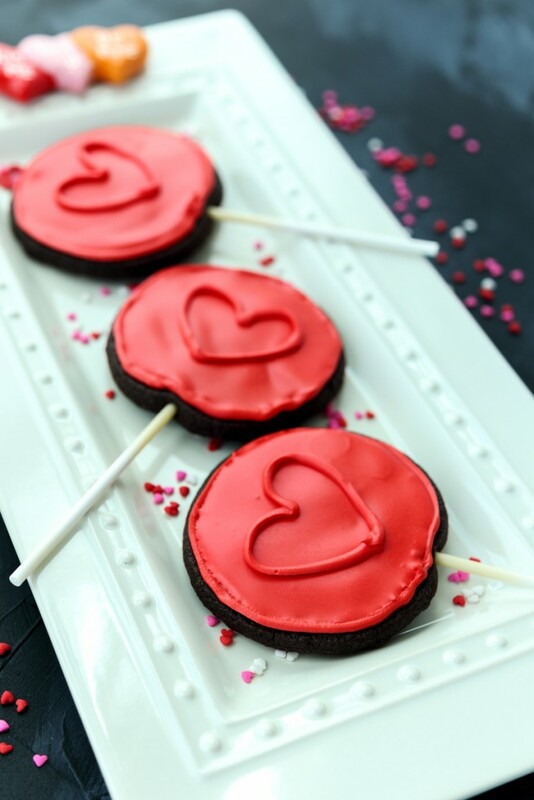 I initially made these more for Matt since he loves cherry, but they ended up being one of my favorite cookies. 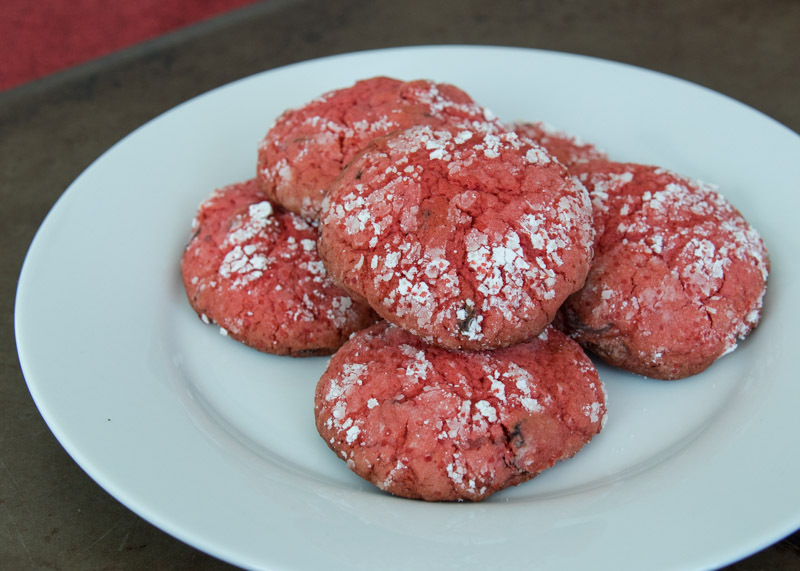 These soft and chewy cookies are loaded with cherry preserves, dried cherries, and chocolate chips. 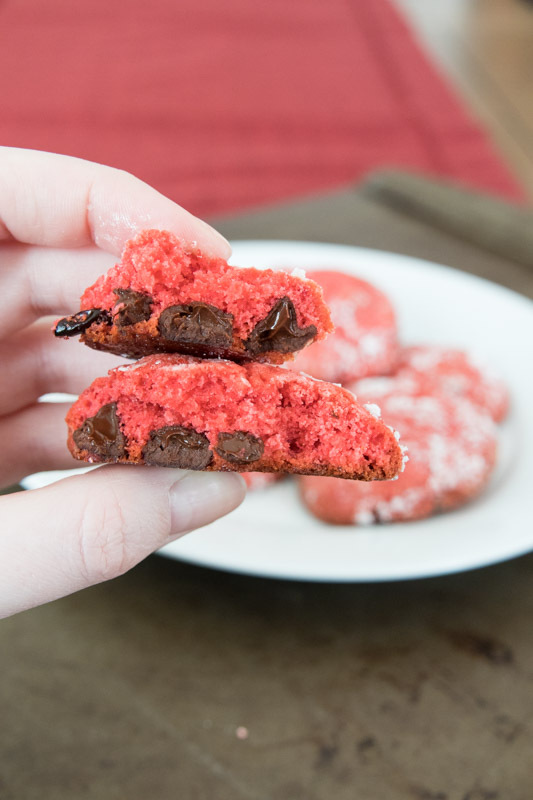 The flavor of the cherry preserves is subtle because the dried cherries and the chocolate chips take center stage. 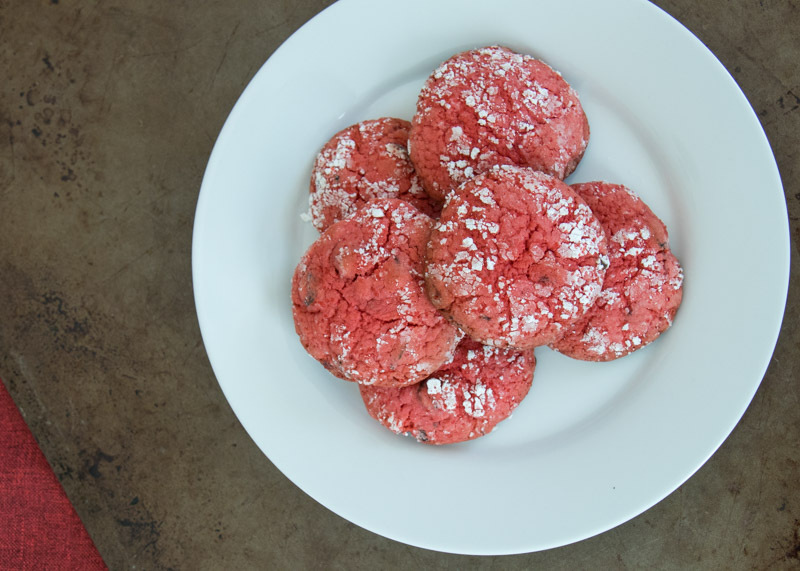 The combination of the two, especially baked into a chewy cookie, is habit-forming. 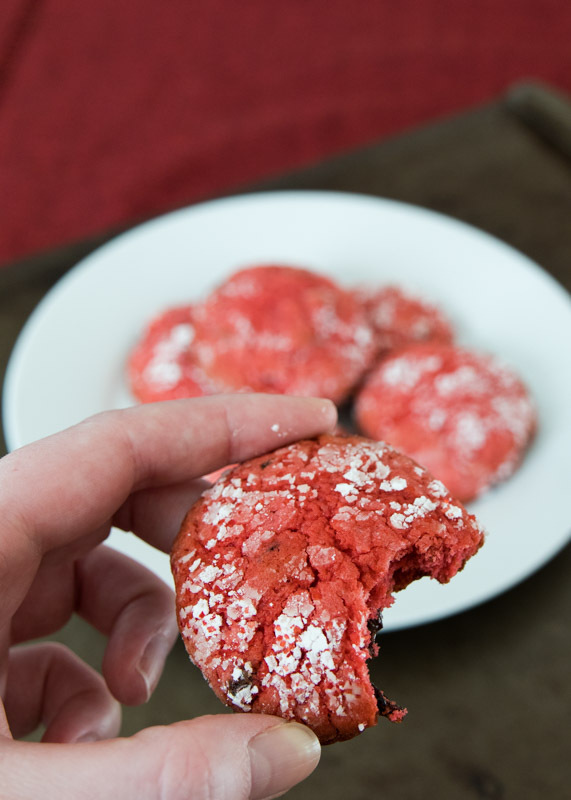 One of my favorite things about these Chocolate Cherry Crinkle Cookies though was that they stayed fresh in an airtight container for so long! Not that they will last that long in your house, unless you’re a crazy normal person like me and made 10 bazillion different kinds of cookies by the hundreds for Christmas. Then you’ll be happy to know that the dried cherries keep them tasting like you just made them the other day. 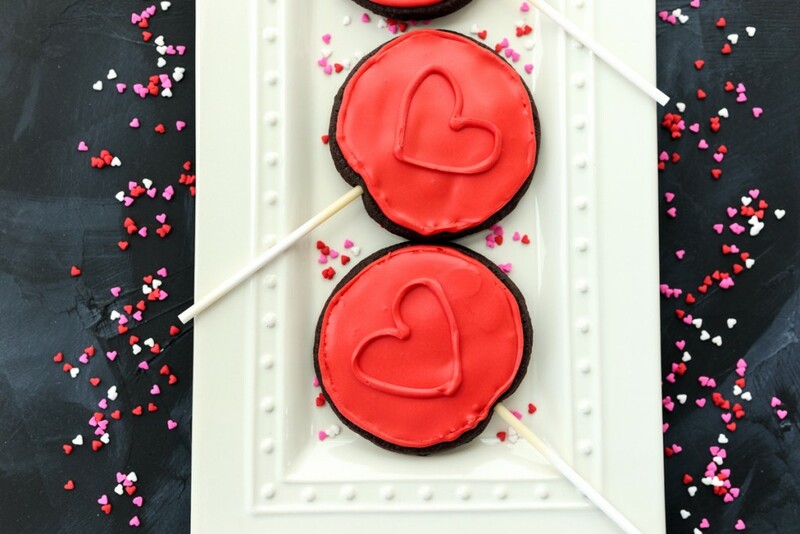 You will need red food coloring to get that perfect color for Valentine’s Day. Between these and the Red Velvet Oreo Truffle Chocolate Crunch Brownies I have a whole bunch of boxes of food coloring lying around with the red missing so I either need to invest in just red food coloring or come up with something for my green, yellow, and blue! 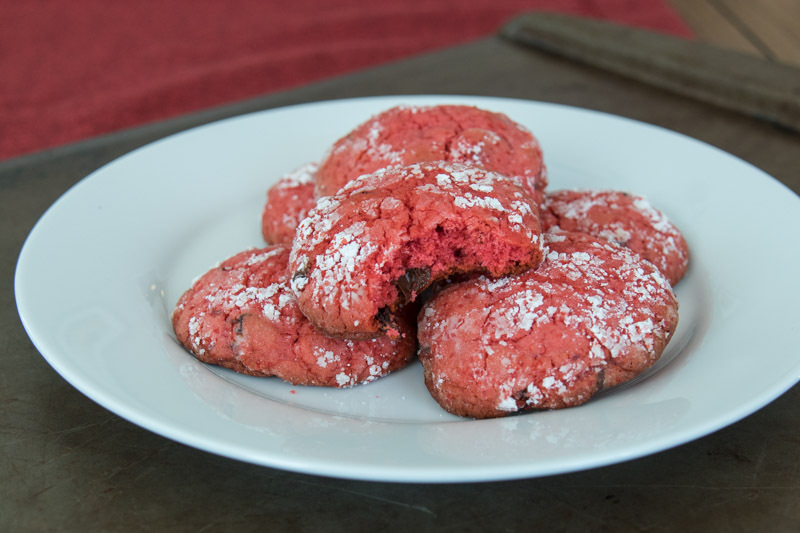 I hope you all have a wonderful Valentine’s Day and enjoy these Chocolate Cherry Crinkle Cookies! In a medium bowl sift together the flour, baking powder, and salt. Set aside. In a large bowl beat the butter, ½ cup of the granulated sugar, and the brown sugar with a mixer on medium high speed for about 3 minutes, until light and fluffy. Add the egg, beat to combine, then add the jam, both extracts, and the food coloring. Beat until combined, scraping down the sides as needed. Add the flour mixture on low speed and mix until just combined. 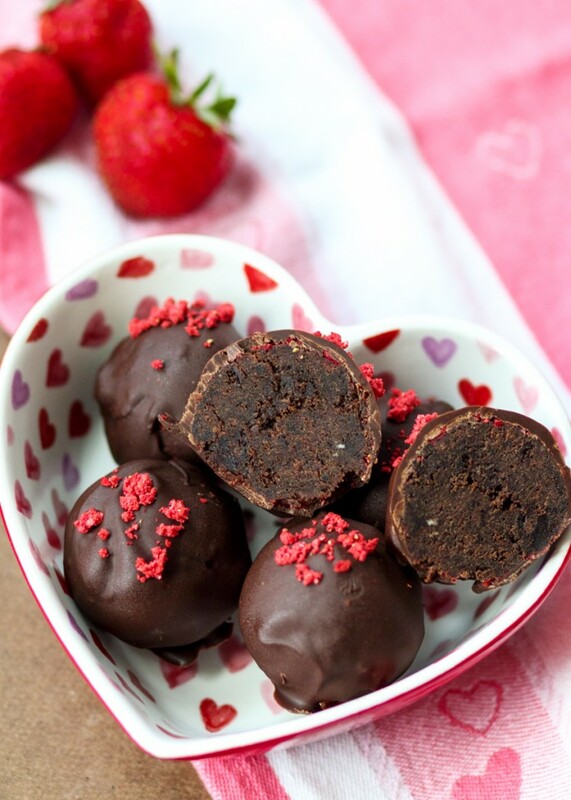 Fold in the chocolate and dried cherries. Tightly cover the dough and refrigerate at least 1 hour or overnight. The dough needs to be firm; I left my dough overnight both times. Preheat the oven to 350 degrees F. Line two baking sheets with parchment paper and set side. In a small bowl combine the confectioners’ sugar and sanding sugar. Roll a heaping tablespoon of dough into a ball and roll in the confectioners’ sugar mixture to coat completely. Repeat with the rest of the dough and space about 2 inches apart on the prepared baking sheets. Bake for 18 minutes or until the edges of the cookies are golden and the cookies are cracked on top, making sure not to overcook. Let the cookies cool for 5 minutes on the baking sheet then remove to a cooling rack to cool completely. Recipe from December 2017 issue of Food Network Magazine .